“IT’S the best love story in the world,” says former X Factor star and classical music titan Rhydian Roberts of Jesus Christ Superstar, which is set to wow theatre audiences during its Grand Opera House run until the end of February. In between rehearsals the Welsh Baritone told the Andersonstown News that he was thrilled to be involved and asked to be part of the global phenomenon that has been touring since 1971. Composed by Tim Rice and Andrew Lloyd Webber, the famed rock opera tells the story of the last seven days in the life of Jesus Christ through a groundbreaking score of legendary songs including Gethsemane, I Don’t Know How To Love Him and the stand-out Jesus Christ Superstar. Asked what kept audiences coming back 40 years after the musical’s debut, Rhydian said the answer’s simple: “The story and the music.” He added: “It’s one of Lloyd Webber’s best scores. I remember seeing it when I was a teenager and it was pretty incredible. I hoped that one day I’d be in it. It’s a musical that really suits me. They call it a ‘legit’ musical as opposed to a jukebox musical such as Mamma Mia, and Jesus Christ Superstar caters for my voice quite well. No stranger to the north, Rhydian has already performed at the Odyssey and Waterfront Hall. His latest classical album, One Day Like This, reached number one in the classical charts and stayed there for ten weeks. 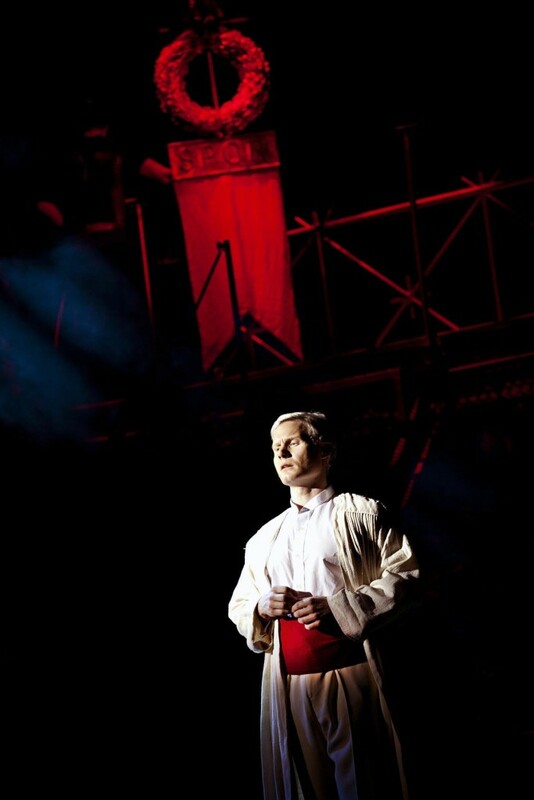 Jesus Christ Superstar runs at the Grand Opera House until Saturday, February 28. Visit www.goh.co.uk or call 02890 241919 for tickets.